We’re over halfway through September and that means it’s time to register/activate the bonus categories for the 4th quarter of 2015. Those are great categories for holiday shopping. Some department stores also carry gift cards, which means that 5% can last much longer than just the three month period! You can earn the bonus cash back for up to $1500 in spend throughout the quarter. 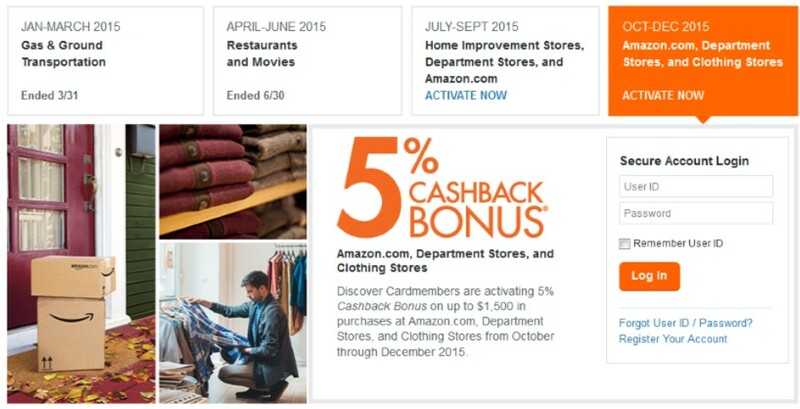 Sign up for the Discover cash back bonus HERE. If you don’t sign up, you will NOT get the bonus. 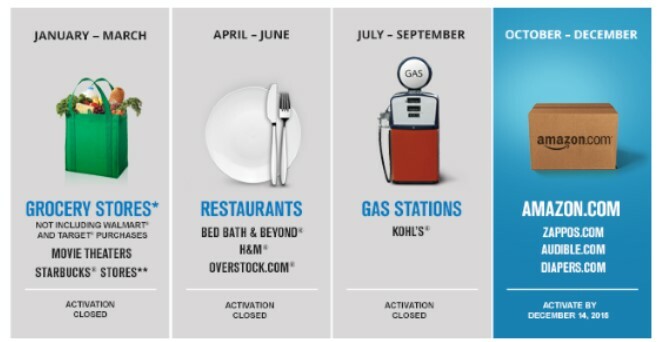 The Freedom card actually earns Ultimate Rewards points and you’ll earn 5 points per dollar spent at one of these retailers. If you want to cash those points in, they’re worth a penny apiece. But if you have the Chase Sapphire Preferred or one of the Chase Ink business cards, you can transfer these points to several airlines and hotel programs where you may very well get a value of 2-3 cents per point. To register for the Freedom Q4 bonus, look for the email sent by Chase (I received mine on 18 SEP) or log into your account on Chase.com and look for the activation link.